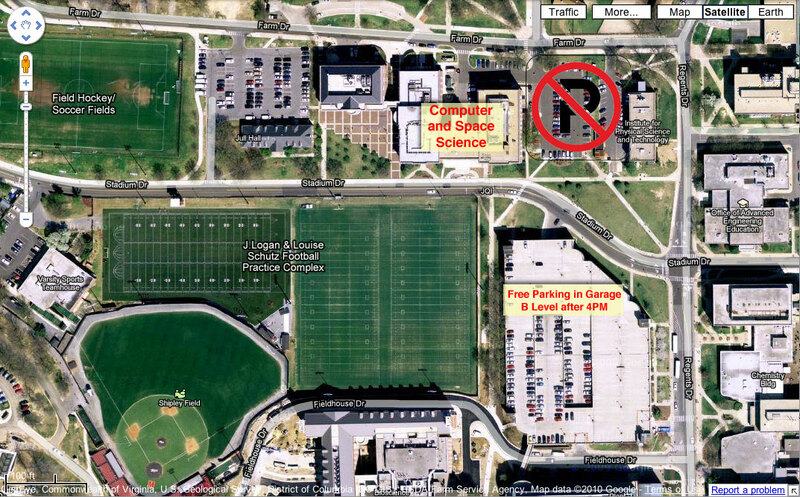 You can park for free after 4PM in LOT B (levels 1 & 2) of the Regents Drive Parking Garage across the street from the CSS Building. Spots on the roof with a stenciled number require payment at one of the parking stations in the garage. There are a limited number of spaces in lot Q next to the new CSS wing that are free after 4PM. Please pay attention to the signage in lot Q if you park there.